Our olive wood table mat delights with its reduced design and high functionality. 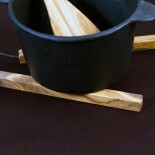 The two 19 cm long, sanded olive sticks are connected with a high-quality leather band and therefore flexible for small pots, big pans or hot bowls. 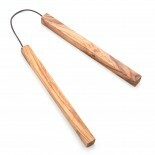 The olive wood is worked by hand in Germany, sanded and pre-oiled with olive oil. The characteristic grain makes every table mat unique. 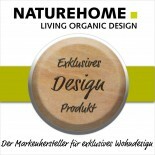 Our NATUREHOME table mat from olive wood delights with its warm, mediterranean natural color. Space-savingly stored in the cutlery drawer or hung to other kitchen utensils. The characteristic amber grain of the olive wood makes it unique and a focal point on the dinner table. A table mat for various sizes. Both wooden pieces are connected with a leather band and fit all imaginable pot sizes - whether hot bowls, big pans or smaller tea pots. The used spanish olive wood has been air-dried for years and is very close-grained. This results in the high density and hardness of the olive wood. Insensitive to temperature, scratches, smells and stains it is predestined to be used in the kitchen. 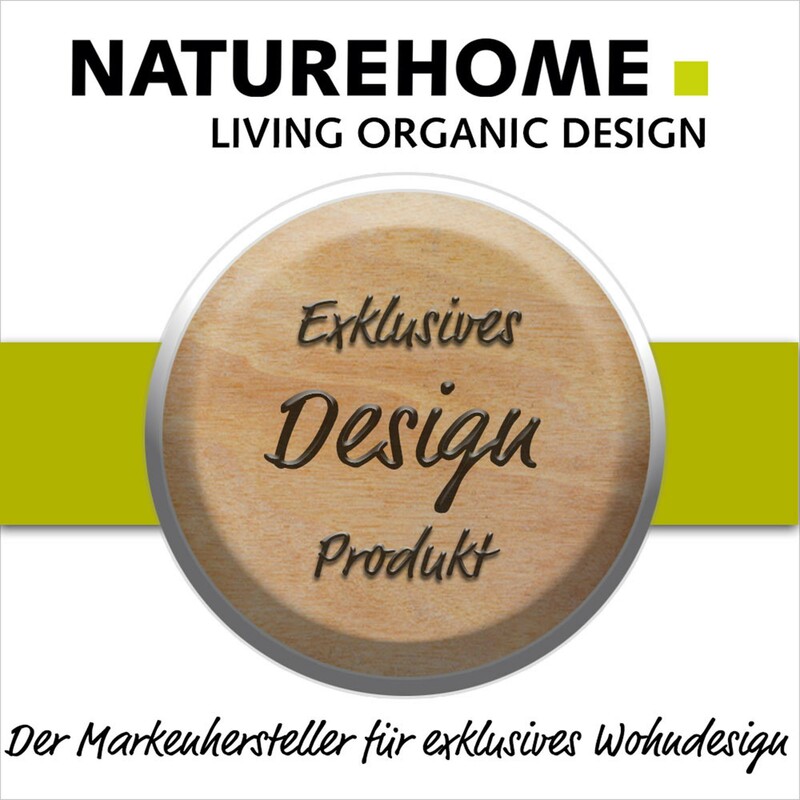 With its mediterranean charm olive wood products are also perfect as a high-class gift. With good care it'll last a lifetime. Premium quality "Made in Germany".Measurements: Length approx. 7.5" / 19 cm, small differences in size due to the natural olive wood materialThe production of our olive wood products takes place in very elaborate handiwork. Within the year-long processing the naturally dried wood is processed in one piece, wherefore small differences in measurements, color intensity and characteristic grain can occur. Every piece is an individual unicum. Because of its natural state, small shakes and intergrowth of the extremely hard, slowly growing wood can emerge.Care instructions: Olive wood products are not dishwasher-safe. If possible clean with soft sponge or cloth and rinse with a gentle soap and lukewarm water (hot water can cause shakes). Then towel-dry, do not leave to dry on its own, and finally treat with some olive oil. So your wood doesn't dry out and its characteristic grain and amber coloring are nourished. Frequently used products should only be cleaned and oiled about once a month.